Last Friday, the Standing Rock Sioux Tribe experienced both victory and defeat in its fight to stop construction of the Dakota Access Pipeline. While the U.S. District Court ruled against the tribe, denying an injunction to temporarily stop construction, the Department of Justice announced a stunning decision by three federal agencies to halt construction on any federal lands in the path of the DAPL construction route until it determines whether all federal laws, including the National Environmental Policy Act, have been followed. In a move that will have broad implications for all of Indian Country, the Obama administration is also calling for national reform on how the government consults with tribes on infrastructure projects like the pipeline. Nearly 300 tribes and thousands of supporters have helped propel Standing Rock Sioux Tribe’s fight—and the issue of tribal sovereignty—to the forefront of national and international news and Pyramid has been honored to support the tribe in its work. Tens of thousands of media stories, primetime TV coverage, and front-page The New York Times and Washington Post articles, are testament to what we know already—there is power in tribes telling their stories. 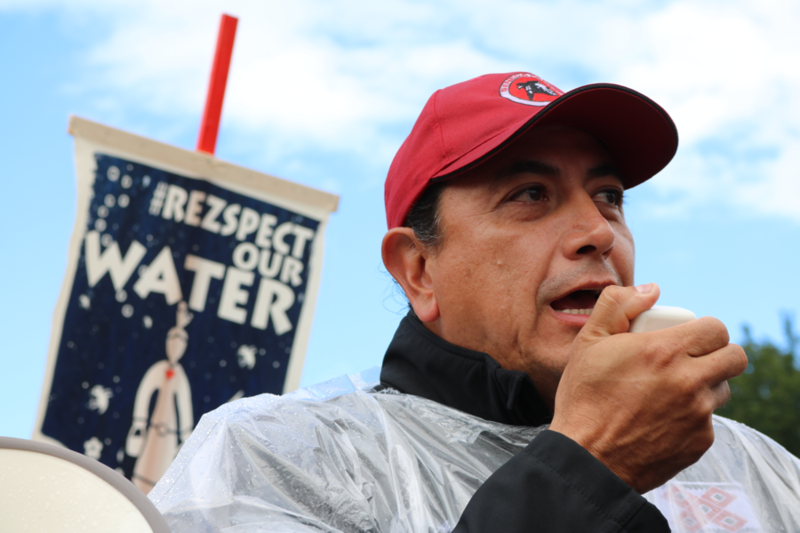 Last week’s victory isn’t the end of this fight or this story; there is more to be done to permanently protect the Standing Rock Sioux Tribe’s sacred sites and the 17 million people who depend on the Missouri River for water. But for the thousands around the world who #standwithstandingrock, there is a growing understanding that tribes are charting a path that protects all of us. To learn more about our involvement with Standing Rock Sioux Tribe, reach out to Jaline Quinto, Indian Country Director. Jaline works on issues in Indian Country, social justice, and conservation, and brings more than 15 years of experience helping nonprofits and elected officials achieve their communications goals. She enjoys collaborating with clients to solve problems and tell the stories that move audiences and decision makers. She is of Tlingit and Colville descent.